The next Watches Online auction for Christie’s will feature three Omega Seamaster Diver 300M Commander’s Watch Limited Edition models. 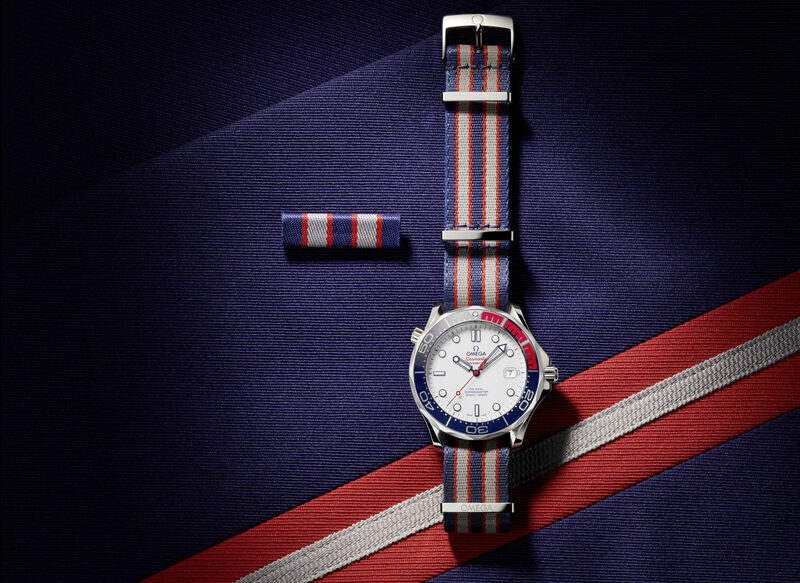 The Commander’s Watch, which is officially produced in association with the James Bond franchise, uses the Royal Navy’s red,white and blue ensign colours. The timepiece houses an Omega Calibre 2507. It has a polished white ceramic dial, facetted blue skeleton hour-minute hands and a varnished red second hand with a 007 gun logo. A stainless steel version is limited to 7,007 pieces while a 18ct yellow gold model is limited to just seven pieces. 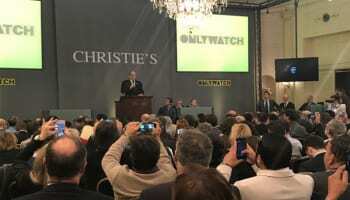 Christie’s is auctioning one in stainless steel, one 18ct yellow gold model, number 007, and one unique version created from 18ct white gold. 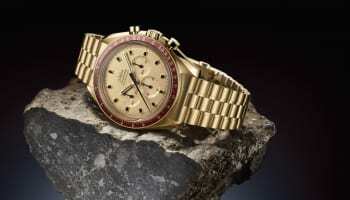 Each of the watches is being sold with a unique piece of James Bond memorabilia. 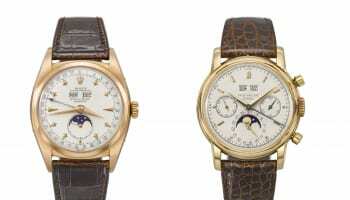 The stainless steel and yellow gold Seamasters will be offered with the replica navy uniforms worn by Sean Connery in the 1967 Bond film You Only Live Twice, and Sir Roger Moore in The Spy Who Loved Me (1977), both signed in gold pen on the inside label by producers Michael G. Wilson and Barbara Broccoli. The white gold Seamaster will be offered with a British Royal Navy flag that appeared in the 2015 Bond film Spectre, signed in black pen by the current James Bond, Daniel Craig. 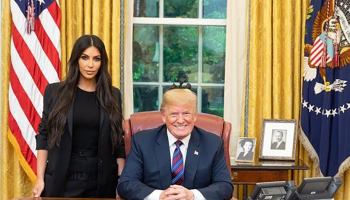 All proceeds from the sale of these three watches will go to UNICEF, the United Nations Mine Action Service and other charitable organisations. 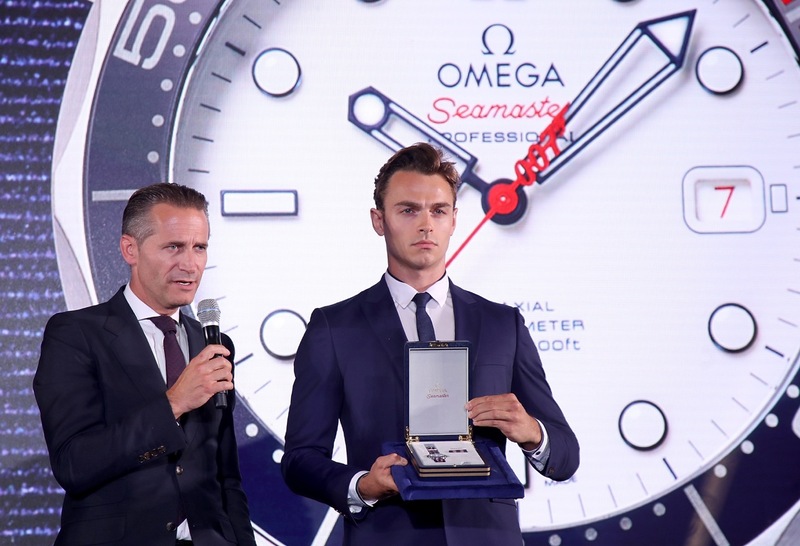 Omega CEO Raynald Aeschlimann launches the Commanders Watch.